While the annual whale migration has started the whales were giving the coastline a wide berth until…. 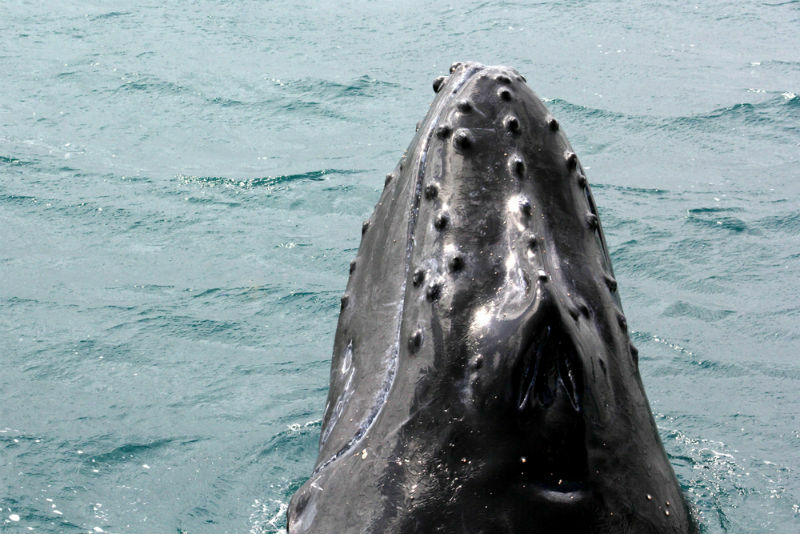 We were treated to the sight of a young humpback whale in Jervis Bay. Whales don’t normally come into the bay until later in the year so this was a rare treat. We are also hopeful it is a sign of a bumper whale season. 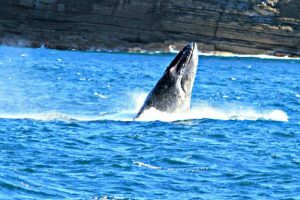 Don’t miss out on your chance to see whales in Jervis Bay. Our whale watching tours are available to book now so make sure your secure your spot. Book your cruise today. Even more exciting is the increase in whale numbers we are noticing each season. The official estimate of the east coast whale population last year was 30,200 – an increase of 10.9 percent every year (source). Most of these are humpback whales but we do also see southern right whales. Make the most of your stay in Jervis Bay and try some winter camping. The untouched Booderee National Park will give you a taste of local wildlife and an opportunity to learn about Aboriginal heritage. Bookings are essential, especially during busy school holiday periods. If you want a more glamorous camping experience, Paperbark Camp is running its popular winter special offer again this year. Winter Taste of Jervis packages are 35% off regular season rates, representing incredible value for money and an opportunity to experience this luxury bush camp at one of the most magical times of the year.